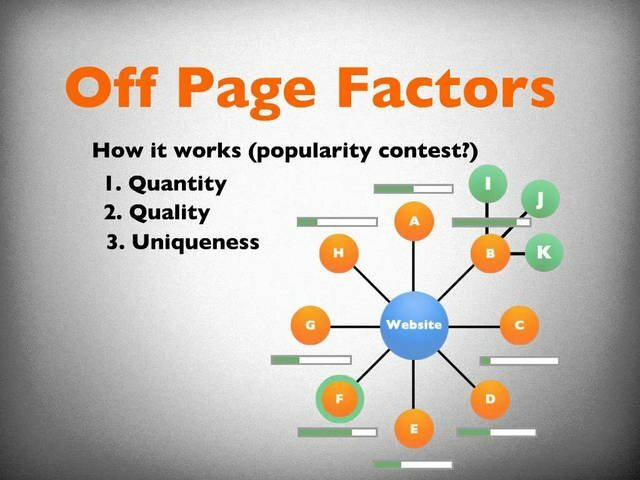 Do you really know Google ranking factors? Surely no one knows what is Google using to rank web pages. Because, recently Google has given a lot of algorithms to evaluate, analyze websites. And every year Google updates these algorithms more than 500 times. Especially, Google will never tell you which factors will positively affect. In previous articles of WordPress SEO Tutorial series, I have introduced to you best ways to optimize SEO on WordPress. In this post, I will answer the above doubt with 200+ Google ranking factors. However, these factors does not mean for “authentic proof” of what the search engines use to rank websites. Simply display the elements of the site is tending to rank higher. This article is divided into 2 parts: on-page and off-page factors. In each part, I will mention these in positive, negative factors and sort them by importance descending. This post still has a lot of deficiencies, I would be happy to receive your feedback or contribution to make it better. Positive On-page ranking factors are the ones you can edit directly via the process of your website management to help you achieve the good ranking on Google. However, they can become negative for your website if you abuse them. Below are the on-page elements for your reference to improve the ranking. URL is one of the most striking elements displayed in search results. Daily, hourly it is copied frequently without using anchor text. Then, currently the URL is acting as anchor text. The usage of targeted keyword in the URL is a necessity because it helps viewers know what topic is about when clicking on. You should start domain name with keyword. It is useful for SEO. Title tag is a short description (title) of a post or page on website. It often appears at the SERPs and quotes when you share on social networks. A good title tag should come with no longer than 70 characters and keyword. 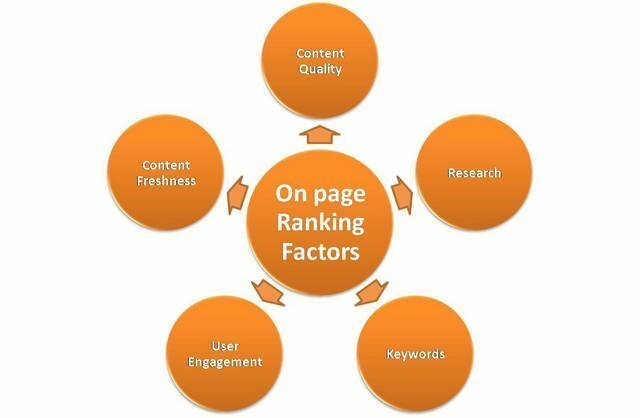 This factor is very important for SEO, social media, users and search engine. Keywords used in the bold, italic, underline, strong tags and larger fonts are applicable in SEO. This is small factor but very important. The ALT text is message to help Google bot know what thing is your image saying about. Then do not forget to put it. Keyword Stemming is the process creating new words from root word. It is so-called as variation of primary keyword. To find them, you must add the suffix, prefix, separate the words in keyword. Usually, the pages in a site are linked together. Most of the homepage is linked to all the pages to create a maximum close structure. It is often called “PageRank Sculpting”. The mobile-friendly websites are highly rated because almost everyone uses the phone to access the network. This factor affects a lot to SEO, especially when Mobilegeddon is updated by Google. As you know, internal link is link from one page to different page on the same domain. Anchor text is characters & words that hyperlinks display when linking to another document or location on the web. Internal link anchor text is an important component of navigation within your website. A domain name containing keyword will have certain weight in SEO. HTTPs is the use of Secure Socket Layer (SSL) or Transport Layer Security (TLS). SSL has been recognized as a factor affecting SEO. People often say content is King, so fresh content is considered a positive factor in SEO. It has been stated by Google that: an old content will have an advantage over a new content in the ranking evaluation process because a new content brings confidence, credibility. Google will reward you with a bonus if your site has outbound links to a quality website. TF-IDF stands for Term Frequency-Inverse Document Frequency. It is regarded as the density of keyword in context. Keyword density on a page will skip words like “the” to calculate. When the variations of a phrase is found on a page, Google will query accordingly. The confirmation that you can rank for pages containing a search term is incorrect. On each local query, Google will have different functions. If Google Map is added to your site, then the ranking will vary according a positive direction. That is reason why you should use Google local. To find unique fresh content, Google has quantified / qualifier “information nuggets” in the content. I have known that Google will compare your content with a lot of other documents to give final remarks. Keywords in the URL appear as early as valuable, as the later gradually decreasing value. Keywords used in heading tag are valuable in determining meaning of a page. The weight of heading tag descends from the h1 to h6. Besides, this heading tag is also valuable in reaching users. The similarity of words also is called group. If you are doing SEO for local Google, you might get high ranking at that country. The returned results from Google may be part of the search term appearing on the page. An exact search phrase into your page can help get the high score. To separate the keywords in the URL, Hyphen-Separated should be used. You also can use dashed underline. However it can cause confusing and unreliable. Once the keyword density is no longer effective. The phrase based on indexing to tell you the contents closely will have the opportunity to ratings than a generic content and keyword stuffing. Google will determine phrases and phrases related to evaluate. If your content is unique, is a collection of related articles and has description that Google wants. Then you will get a deserved reward from him. You would benefit greatly when placing an exact keyword, suitable for the domain name. Keyword density across domain will improve the search queries your site. A new domain name will generate the attention and there is a certain ranking. It is considered as the starting date of the document and the real impact on rankings. Early appearance in the word order is particularly important. It has not yet been confirmed by Google but is still true in certain circumstances. Schema.org is a collaborative project between Google, Bing, Yahoo and Yandex. The use of structured data will improve search engine rankings. So far the classified information architecture is always advisable to use. Google will use it to display the breadcrumbs in search results pages. If you use a country code domain name, then search rankings in the same country will be increased. Besides you also need better contrast with ccTLD from other countries. Now, Google increasingly focuses on analyzing ideas and taking priority on entity for phrases. Makes it easy to search wherever. In spite of no exact proof, I see that behind the html tag: <link rel = “hreflang”> help you get better rankings. Times of keyword appear on the page. The density of about 5.5% – 6% is Okay. Google distinguished order and place to appear of keyword. Explicit content will be appreciated for earlier appearance of keywords or phrases. It seems difficult for you to understand because, the new domain name get a priority to increase ranking. The old domain name brings confidence but very little. With Long Domain Registration Term, Google will believe that you will stick with this site long and often care for contents. Search engines does not pay much attention for this factor. However a site with correct spelling, grammar will be regarded more. We encourage visitors coming to blog to report fake whois data. You should maintain fresh content on your site to get better reputation for your domain. QDP is content news service. So in some cases the query deserves old content. Google will analyze your internal links to match competence, context and suggest relevant outbound links. The number of subdomains on a website is an important factor because it is determined as website property. Google has a document that’s Quality Rater Guidelines. It is mentioned there are auditors checking quality to search for “satisfying contact information”. Heading tag is also a place where the word order is being focused. Earlier appearing will be more valuable. Google Analytics become one of the Google ranking factors. However it is not absolute. Using the rel = “publisher” is advised to use in SEO and it is a positive factor contributing to the site’s ranking. Web server IP address will be useful for certain geographic target to determine two sites have different owners. Use “www” for subdomain is avoid two URLs serving the same content at the same address. Negative On-Page factors are the ones reducing your site rankings. Penalty for these elements is very heavy, even worse, maybe your site will permanently not appear on Google. Today, black hat SEO often places hidden links by 1px x 1px image or small text. However Google knows everything you are doing and surely you’ll be fined. This action is strictly forbidden. Any stealing will violate the copyright laws of Google and surely that website will never rank high. Page navigation is a trap that almost SEO beginners meet. It isn’t good to have redirected internal links. And it is also the reason why your site will be punished. If you use the text in the video, then Google will evaluate it unreliable. So far gathering of information through contents in frames is difficult for search engines. Although, the process research improved, no one dares to make sure that it will be handled correctly. The birth of Panda Algorithm is an important milestone to evaluate the content. According to this, Google will punish sites delivering useless contents to readers and search engines. A website with too many ads will reduce the prestige and user experience. If your site appears duplicate contents whether you have quoted correctly and not piracy, it still reduces your rankings. That is the reason for “bad neighbor” algorithm appear. What would happen if you link to a spam site? it’s bad. Do not worry because Google has launched a solution that is using the rel=”nofollow” attribute if you must link to a bad site. If a page uses meta tag robots that are assigned value “noindex” then Google will never index that page. In the robots.txt file, if you put Disallow: * or Googlebot then your site will not be indexed. It will prevent the positive ranking factors from your website. Automatical content generation by machines based on the search query of users has violated the Google Webmaster principle. However the automatic generation of meta tags is an exception to this rule. In case the status codes of 200 or 301/302 have been reported by your Web server, you should understand that the content is not appropriate to display. The 404 error is signal for losing content. However, the status codes are not good and gives a poor user experience. This is a common problem and Google will use its rules to detect and perform the punishments for infringing sites. There are many ways to put hidden links and the popular method is empty link anchors. Anyway, Google will detect this trick sooner or later. The doorway pages do not bring value to the users, so it is considered as spam. The broken internal links will cause difficulties for the indexing and navigation by users. They also show untrusted sites and poor quality. It is not sure that text used in image will be searchable by Google. Although there’s no specific penalty for this violation, Google will prevent the ranking chance for the keywords used. Just as you put text into image & video. Duplicate internal content is not different from the content duplication from another site. A domain name will create credibility with Google over time. And if you change the domain name, it can be fined by webspam. External links are a positive factor for ranking web pages. However, it will become a negative factor if too many. And site will be reported as spam. If a page looks like a search results page, it would not be considered as good. The description of the illegal activities by Google is considered as a net to catch violated websites. Orphan Pages is the page that you can hardly search by internal links. This is a signal for webspam. The title keyword stuffing will be punished. You should ensure a less than 70 characters title with sufficient information for users and search engines. The heading tag will be appreciated with natural inserting of keywords. If it is outrageous and it is not good for ratings. ALT attribute that can only see by Google, then keyword stuffing will be detected immediately. There are so many different writing styles. Too many keyword will be considered as stuffing and downgrade your site. You will get a penalty if you deliberately hide texts or links from users. Limitation of internal linking is less than 100 links per page. Because in one load, Google will not be able to download more. A parked domain is not official one. And Google does not want to rank the unused domain name. An old content, not updated will not be highly recommended. A penalty will be applied for the user-generated section of the website that will come with a notice. Using Babelfish, Google Translate is break of the Webmaster guidelines. Higher density of keyword or TF-IDF is positive. At some point, density will reduce relevance because it is diluted by Subject Matter as: write content without any clear topic. Again, the title should be about 60 to 70 characters and make sure to bring value for users and search engines. Would you like to know if Google is keeping penalty for this? Try to put excessive factor. You should remember that one h1 tag is compulsory. You should know that the URL value will decline from 5 words above. There are two cases: a page contains robot meta tags with value nofollow or add attribute rel = “nofollow” into every link on the page. So Google will understand that you do not trust this link and do not want it to crawl information from this link. Stuffing the feet of a link into webpage will reduce the reputation and receive a penalty from Google. Selling links are a violation of webmaster guidelines for both on-page and off-page. There is no any formal punishment for repeating a word in the URL. However, if you want to confirm then you can try to put a word in Url five times and you will know the results. A Long Internal Link Anchor will lose its value. Using bold, italic, other emphasis bring a high ranking. However, any excessive thing is also not good. In this case, Google reported as “spam”. Google will determine IP address server and penalize if you link to a bad neighborhood. If the code on your site is not perfect, it will cause a lot of problems. It proves that user-generated content is not censored and it will be blocked when passing through the filter of Google. Dynamic content makes the search engines not understand and be ranked. Google has confirmed use of pop-ups will affect search rankings. Google has been promoting the use of “soft 404”. However these pages still are back page HTTP code 200 and are not recommended. The Hilltop algorithm has mentioned the sanctions for this omission. Subdomains are considered as separate web pages. This makes thematic site have many sub name, confusing. If a page has code error then it’s a low quality site, poor user experience. Many people argue that priority attribute is assigned to sitemap XML, then ranking will increase. But that’s not true. Although Google announced that he will not use meta description tag to rank, if your keyword is stuffing, it is still reported to webspam. You have a lot of points to distribute inbound links but it does not return immediately. Missing a file robots.txxt in hypotheses will affect ratings. However, it is also advised to remove robots.txt. So far this thing remains unknowns. Positive off-page ranking factors describe as an action taken place somewhere beyond your website with the aim of increasing website rankings, Ex: getting backlinks from a different domain. These factors often are natural, honest, well-known and especially from trusted sources. Backlink is a valuable factor for ranking a website specially when it has high age. Link from a web page related or similar content to your website will create high prestige and importance of your website. Alt is a description of the direct impact to the search results from Google Image Search. So the use keyword in ALT text is essential contribution to increase ranking search of your photos. For each query, Google will have different rankings. And mostly Google only ranks the latest content. Your site can or can’t rank entirely depending on whether you have enabled Safe Search in the installation of Google. By default, this feature is enabled. The number of pages that Google will index on site proportionally to the total number of pages gained from inbound links. The anchor text used for external links will help it navigate to a search term. The alt attribute is a natural change and there is a certain value in the query. Google has stated: “he will rank search results by re-ranking based on local link”. If you have a backlink from a website has been ranked. It’s a good. You should know: a natural backlink in which anchor text is a part of keyword is a great thing. You can get backlinks from these marvelous opportunities despite the law is: once the data feed for The Google Directory, The Open Directory Project, Directory Mozilla. In some queries, older documents may prevail more newer ones. Because the search engine will sort by age of the document. Users often search and view the brands reputation. So this is an advantage. Google provides a tool for international target if it can not be done correctly. Mainly used for a TLD such as “.com”, “.co”,…. Google uses the country code ccTLD to set up a web page related to a country. Backlinks from a particular ccTLD country will improve the ranking of Google Local. CTR is ranking factor of Twitter. This applies to all the queries of information. Query Deserves Diversity depends on entity salience. It’s like a Wikipedia page. It caters to the search results be personalized on your last search history. You can also disable this feature on Google. Depending on the configuration of the system, a click will be counted in a certain period. This tool is used to propose with Google review a site to determine whether or not a set penalty should be removed. Google has confirmed that if there is a server close to your targeted audience, on a wide international scale, then the ranking for that object will be improved. Information concerning the traffic over time can be used to create some related documents. Data in Google Chrome will not be used to ranks. Users stay long on your site proves your site useful. You believe more likes on Facebook will bring higher rank. However, Google has confirmed that they do not see it as significant factor. Title attribute in a link might like anchor text. Google has rejected this idea and explained that not enough people had used this attribute. Google will not see links .edu, .gov links are different. He just appreciates the natural origin link, often quotes from reputable sites. Negative Off-Page ranking factors are a form of unnatural backlink, for ex: intentional link spam, sell backlink,…. no punishment for these factors will be given but your website will decrease prestigious and rankings. Google will not like if he discovers you buy backlinks because it is considered as a dark trick. Occasionally the Google web spam will take manual action against some websites. And a message comes with Google search control. Google allows you to change speed of gathering information from your website. However, it is true the Googlebot can not be speeded up to affect the ranking, content on your site. When the text used in the link exceeds a certain level, this time Google will use Penguin algorithm to detect and sanction. Advertorials also called Native Advertising is found from webspam group and is considered as paid links. This link should be placed rel = “nofollow” attributes to avoid penalties. Your site has built according to the pattern wheel alignment, pyramid, triangle. If you build this pattern in the time of 2005 then it was an advantage. But now Google has put this factor into negative. Using private networks only for SEO will make you discount webpage. This action is considered as black hat SEO. Like the rapid increase in links, when your expired link led to rapid decline. It is a demonstration that your site trends to go down and Google will not appreciate. Google allows you to request to send a link completely. However if it has not been used properly, then that will become a negative impact. Users can report any illegal activities on their sites via a form. That means users notify Google that please remove any infringing content. It is really bad if your site has too much violations. The links at the footer of a site will not be valid in SEO. Even it is a hindering factor. Google trends to reduce symmetry links because there are too many external links. Google will use Panda and Penguin algorithms to verify content around backlinks and determine these backlinks are quality or not. Sitewide links will reduce value of the site because of most them are often associated with webspam. When your website is linked to a penalized site then the value will significantly reduce. In addition to method to detect the contents stolen, Google also recommends sending a DMCA request. However Google will remove all violations that access to that domain. You site will be penalized if containing more than 10% anchor text that violates Penguin algorithm. If you participate in forums and repeatedly spam comment, give unnatural, irrelevant contents and then the quality of backlink will be reduced. Just as if you put links in the footer. Google only encourages using the link in genuine validation places. Although there is no penalty for the general directories, Google also underestimated them. This factor actually brings negative consequences for the ratings. Google will look at words around link to determine whether this link is concerned. If it is irrelevant, the penalty will begin enforcement. Google allows users to block the Google search site on Chrome and no one sure element is a blade. CTR is a positive factor. However it is always accompanied with webspam, so the test is necessary. One click must be compliance with time period. Links from the same “class C” is bad. Although it is not completely correct, you still will be alerted to this factor. Footprints is used to determine the activity from a general source. It’s not always bad just when it’s related to webspam. Forum posts are good for marketing when a conversation is added. However there are large amount of spam links in the forum. Links appeared in signature, profile on a forum are considered as a webspam. Link to the author section of a blog or article has no value. Google dance is just a rearrangement effect standing. But Google dance always is a surprise for users. When the number of back links is rising, it means there is possibility of spam. The reduction rate of the inbound links will harm for your website. The punishments from an organic search engine can go through 301 redirected sites. Google advised to build natural links for people, not for search engines since the start. Not all links are put in an editorial context that will create an unnatural pattern. The above are Google Ranking Factors that I have shortened from my own experience, reports from Google, profile patents and scientific methods. I hope that these factors will help you have an overview about SEO and understand strengths to promote your own site. I’ve put a lot of heart and effort into this article. So I am very happy if you share it with everyone. See you again in the next post “SEO Process for WordPress” of WordPress SEO tutorial series.